Quotes are such an easy way to start a blog post. Actually right now I feel vintage; I just hope I don’t smell funny. I couldn’t find the book I wanted to share today. I found this instead. 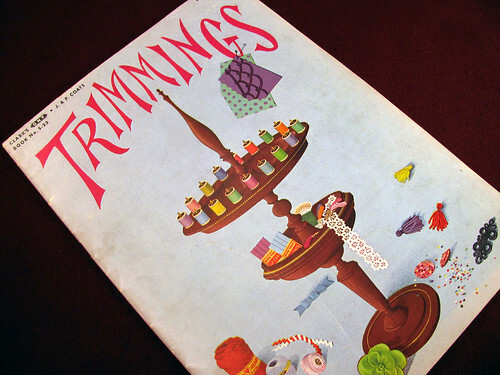 It is a cute little pamphlet about trimming printed in 1946. Every time I page though, I say to myself I have to remember this trimming made out of braiding two colors of rickrack together. Then, I promptly forget. 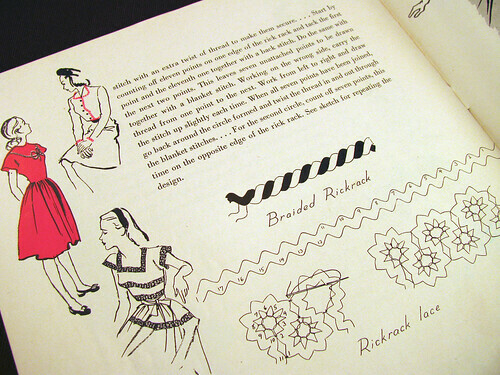 I think the rickrack flower trim would be fun to make too. 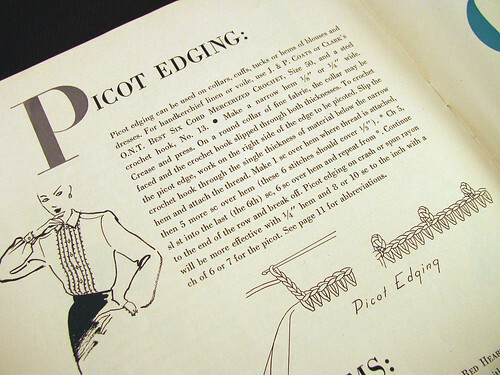 I noticed this trim idea for crocheting picots down rows of tucks on a shirt front and around the collar and cuffs. It wouldn’t take much time, especially if the edges were stitched with a wing needle on a sewing machine first to punch the holes for a small crochet hook. This entry was posted on Saturday, January 24th, 2009 at 3:00 am and is filed under Crochet and Sewing. Tagged: Crochet, Needlework, Sewing, Thread, Trimming. You can feed this entry. You can leave a response, or trackback from your own site.